Do you have a large, misshapen, bumpy, or flat nose in the middle of your face? Do you avoid the mirror or spend time trying to draw attention away from your nose? Or maybe you were hit in the face. Your nose bled, but you never really paid attention to it. However, lately you’ve noticed just how hard it is to breathe out of your nose and your partner complains about your snoring. Or maybe you can’t remember ever being able to breathe through your nose. Nose reshaping or rhinoplasty in Toronto is one of the most popular plastic surgery procedures today. This cosmetic procedure can reduce or increase the size of your nose, change the shape of the tip or bridge, narrow the span of the nostrils, correct birth defects or injuries and can help relieve some breathing problems. The best rhinoplasty candidates for nose reshaping are those looking for improvement in their appearance. If you’re healthy and realistic in your goals, you are a good candidate. 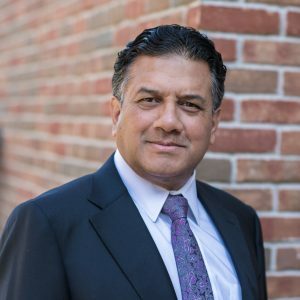 Whether you have suffered trauma to your nose, were born with a nasal defect, or are simply not pleased with the way your nose looks, you will never know if you are a good candidate for rhinoplasty until you see Dr. Kesarwani, a board certified plastic surgeon with over 30 years of experience. Deciding on plastic surgery should be an uplifting experience that ultimately provides you with renewed confidence. To discuss what you’d like to achieve, contact us today for your personal, in depth consultation. A personal consultation with Dr. Kesarwani is the first step toward realizing your goals in improving your facial appearance. He will take the time necessary to answer your questions and explain how this procedure can fulfill your aesthetic goals. If you’d like to learn more about the Nose Job procedure, contact Cosmedical Rejuvenation Clinic now to book your confidential appointment with Dr. Kesarwani. Dr. Kesarwani can also show you before and after Nose Job photos from patients he has performed the procedure on previously, during your consultation.